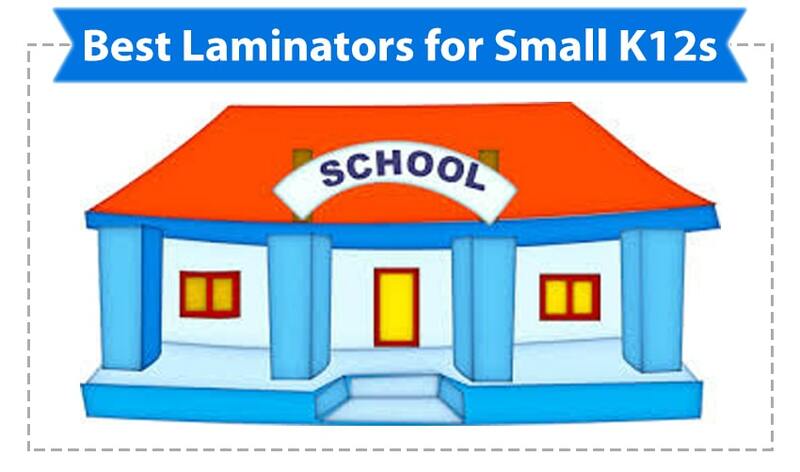 What are the Best Laminators for Schools? 1. Scotch Pro Thermal Laminator - This pouch laminating machine is only about $35 and has a 9" opening for those letter size pages. 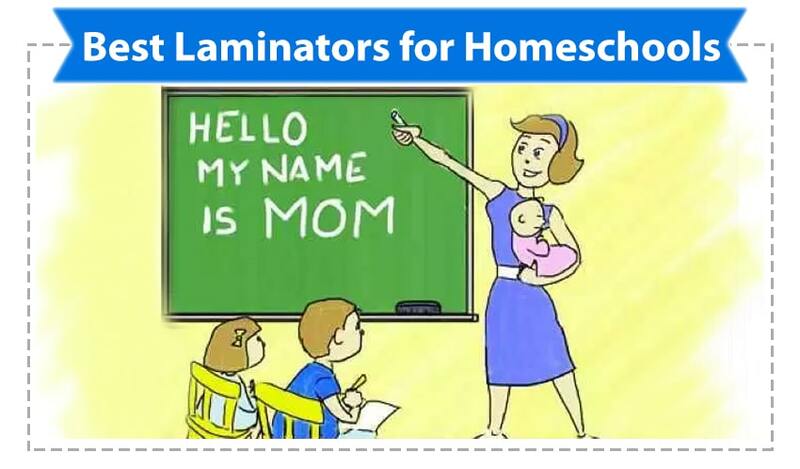 It is a basic laminator that is great for those just starting out. It works with 3 or 5 mil lamination pouches and has automatic shut-off. 2. Scotch Advanced Thermal Laminator - A step above the Pro, this laminator has a wider opening so you can use larger pouches. It has the same capabilities for 3 mil and 5 mil pouches. 3. Fellowes Saturn 3i Thermal & Cold Laminator - This laminatoras a slightly-over 9" opening and will laminate both hot and cold pouches in 3 mil or 5 mil. It has jam release and is a bit more powerful than the others. As a smaller K12 or high school, you may need to occasionally laminate learning tools and projects for your younger students, and signs or reusable worksheets for different classes, but not need to use it every day. You need something that can handle the job when you do have to laminate for several classrooms at once, but small enough that it doesn't take up much space, and inexpensive enough that it doesn't go over your budget. They will have more adjustable settings than the home school laminators, so they are more versatile in the uses and quality of finish. 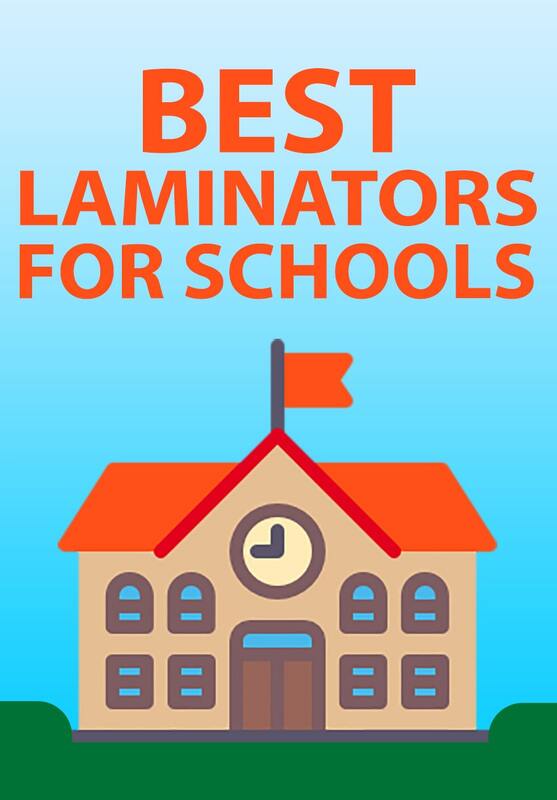 Here are our top picks for the best laminating machines for small K12 schools. Feed Opening 13" 12" 13"
1. Quick-Lam DH330 Thermal Laminator - This thermal laminator offers professional quality, without the expensive price tag. It easily does up to 10 mil pouches and has adjustable heat up to 320° F.
2. 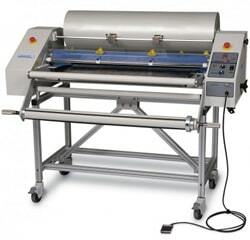 Model 7000T Thermal Laminator - This pouch laminator is faster than most others, and has a long 5 year warranty. It will laminate 3, 5, 7, and 10 mil pouches with ease. Adjustable heat lets you customize it for your needs; making it hotter for photos or foiling, or cooler for basic page lamination. 3. ProLam Ultra Photo Thermal Laminator - This laminator uses premium silicone rollers (instead of a heat plate like less expensive models) that ensure perfect lamination of full color prints and photographs. It will handle up to 14 mil thick pouches and has adjustable heat to 284° F as well as adjustable speed with 9 settings. The reverse function is helpful in case of crooked placement. Larger K12 schools that need to laminate for multiple classes, or even the entire school, several times a day or even continuously throughout the day will need a different class of machine. It is typically best to upgrade into the roll lamination category, as you can laminate more and at higher speeds, with a lower supply cost. Roll laminating machines will also have a much wider opening, so you can laminate larger posters, or even just multiple sheets at a time by lining them up. We do have one pouch laminator that is particular fast and powerful, but in general, most larger schools will use a roll laminator at this point and pair it will school film. 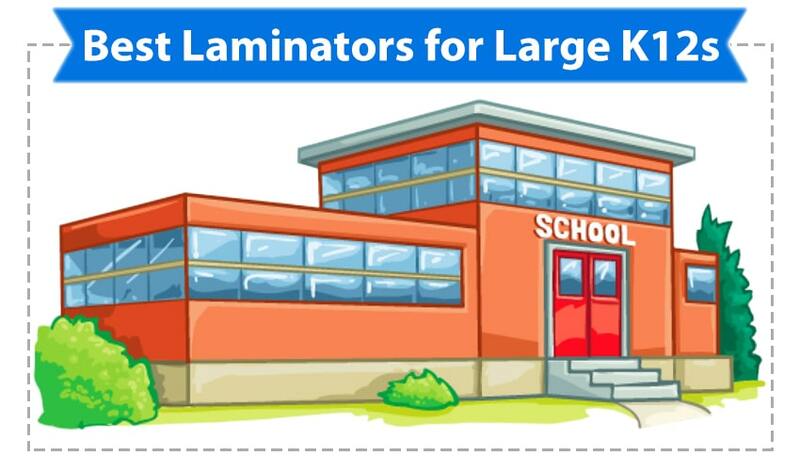 For larger K12 schools and high schools, these are our top picks for the best laminators. Feed Opening 13" 25" 27"
1. SpeedyLam Pouch Laminator - This pouch laminator is the only one that can laminate at similar speeds as roll laminators, but in a smaller machine. The desktop pouch laminate style makes it incredibly compact, while the speed allows for quick turn-around on any laminated projects. 2. Educator Roll Laminator - As you can tell by the name, this particular roll laminating machine was actually specifically made for schools. It features most of the capabilities a K12 or high school will need, eliminating the "print shop" features, which brings it into the more strict budget of a school. 3. Professor Roll Laminator - This roll laminator is a slightly larger laminate machine that was also manufactured for larger schools, but for those that need more capabilities, such as thicker laminate film compatibility as well as foam board mounting. Colleges and universities will not typically be using the lamination machine for individual worksheets or learning tools; instead, it is used as a university machine to make signs, displays, and within the office. They need to be wider to allow for larger signs, as well as have the ability to easily work with the school laminating film. 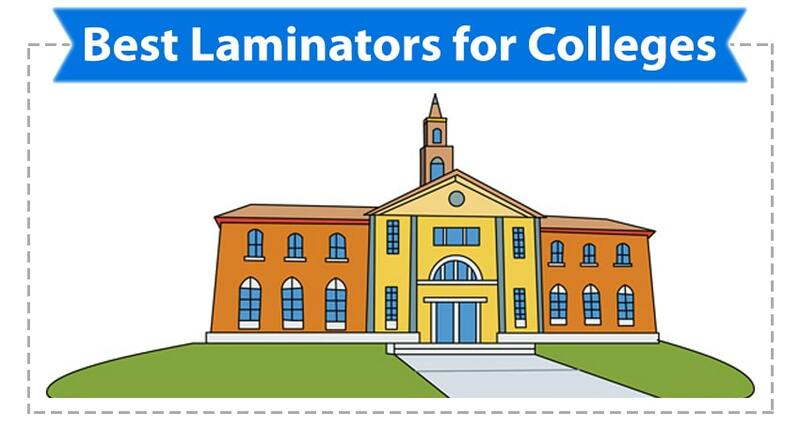 These are our top 3 choices for the best laminating machines for colleges. Feed Opening 55" 45" 44"
1. 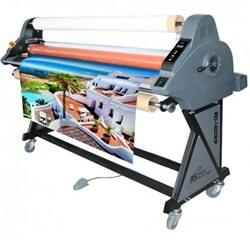 RSC-1402CW Wide Format Laminator - From Royal Sovereign, this wide format roll laminating machine achieves cold lamination for prints up to 55" wide, as well as mounting boards up to 1" thick. Perfect for large prints and signs and colleges with high volumes. Because it uses pressure to achieve lamination, it is safe to use with even heat sensitive prints and papers. 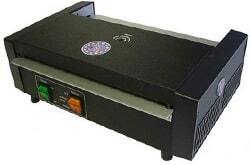 Simple to use, the RSC cold laminator has adjustable speed settings up to 16.4 feet per minute. 2. RSH-1151 Wide Format Laminator - The Royal Sovereign RSH-1151 offers the perfect combination of hot and cold lamination, as it can handle both so you are not limited. This wide format laminator can handle prints up to 45" wide and has an adjustable temperature range that can go as high as 320˚ F. A reverse function, power-save mode, and automatic shut-off lend to a safe laminator that helps save energy; perfect for large colleges and universities. It is designed to offer professional results that can withstand very stringent quality requirements. 3. Signmaster Wide Format Laminator - The Ledco Signmaster 44 wide format laminating machine offers both thermal and pressure sensitive lamination up to 44" wide, as well as mounting onto foam boards up to 1/2" thick. This industrial laminating machine offers quality and durability, perfect for on-demand printing applications including sign making, poster lamination and more. Safe to use on heat-sensitive prints. 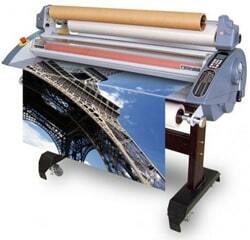 This mounter / laminator machine is fast and versatile, as well as extremely easy to use. Convenient foot pedal operation leaves both hands free to handle applications, while safety stop buttons add reassurance for your users. Do you use any of these machines for your school? I want to hear from you! Email me at mallorym@buy101.com with info for a chance to be featured on our blog. Thanks for reading!